Chris Mohr's denial of the controlled demolition of WTC 7 in Skeptic Magazine simply illustrates how willful ignorance sustains the official explanation. 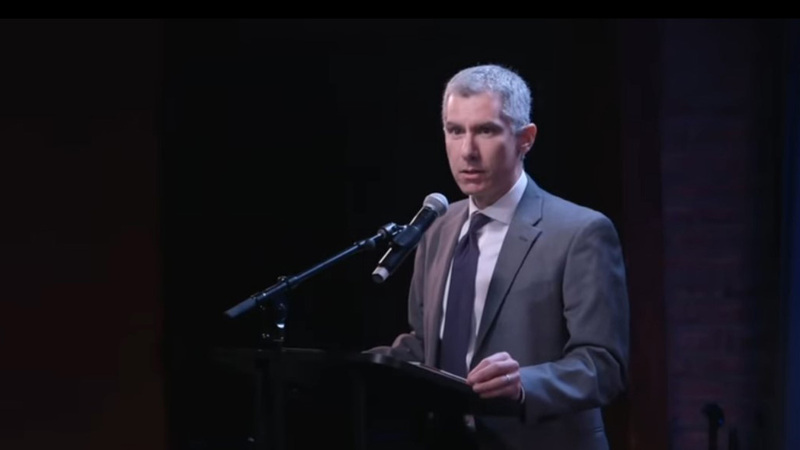 Mohr begins his case with the argument that “You cannot secretly prepare a controlled demolition of the two World Trade Center buildings … without anyone noticing anything unusual.” He does not mention it, but we may presume he thinks it would be just as impossible in the case of WTC 7, the third WTC building to collapse completely on 9/11. The main point to be made about this assertion is that it is not a scientific argument, but speculation. It for starters assumes that nobody noticed anything unusual in the days, weeks, and months before 9/11. But is that true? Since this possibility was never actually investigated, and thus building workers were never interviewed and asked whether they noticed any suspicious activity going on, we don’t really know. Also, while it may seem unlikely that this could be done, if the actual scientific evidence disproves the fire-induced collapse hypothesis and proves the alternative, then one has a priori knowledge that however unlikely, this must have occurred. So we must turn to the science, which Mohr does get to, eventually, as we shall see. But Mohr says that it has since occurred that “other tall steel framed buildings have” “collapsed due to fire alone”. His example? 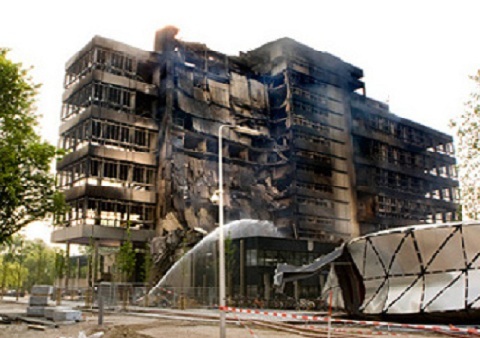 “On May 13, 2008, a large part of the tall concrete-reinforced steel architecture tower at the Delft University of Technology in the Netherlands caught fire and thereafter had a very fast, nearly straight-down collapse mostly into its own footprint.” The first problem with Mohr’s example is that a reinforced concrete building is not a steel-framed building. 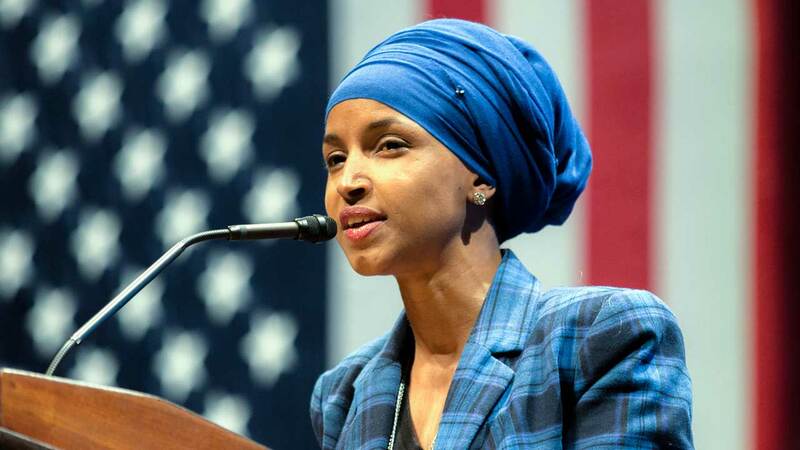 Mohr is obviously unaware of the distinction between a building constructed with steel columns and beams (steel-framed) and a building constructed with concrete poured around reinforcing steel, or rebar (reinforced concrete). But let’s have a closer look, anyways, just for fun. 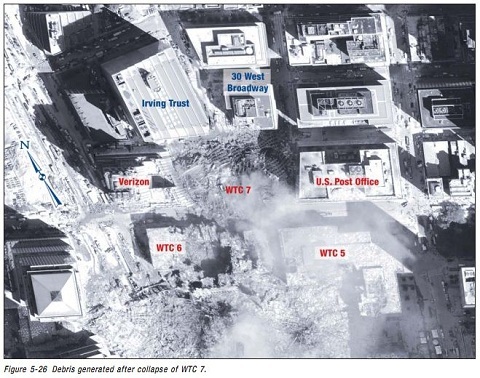 Below is an image from the FEMA report showing what WTC 7 looked like after its collapse. A 47-story, steel-framed building collapsed completely and mostly into its own footprint. 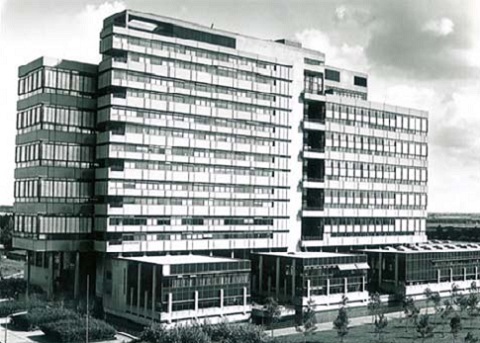 Now here’s what the 13-story reinforced-concrete Faculty of Architecture building at Delft University looked like before it caught fire. And here is what it looked like after what Mohr describes as its “very fast, nearly straight-down collapse mostly into its own footprint”. The first thing you just might possibly have noticed, if you were paying close attention, is that most of the building actually remained standing. The attentive viewer may have picked up on the fact that this doesn’t at all resemble the debris pile of WTC 7. So, to review Mohr’s record on this count, he falsely claims the Faculty of Architecture building was a steel-framed building before stating, oblivious to the distinction, that it was actually not. And then, by implication and by omission, he would have his readers believe the Faculty of Architecture building, like WTC 7, had collapsed completely and into its own footprint, when in it was just a partial collapse and most of the building remained standing. While Mohr asserted that “other tall steel framed buildings”, plural, have since collapsed from fire, presuming this is his best example—or non-example, rather—we may dismiss his false claim and move on. It remains true that this had never happened before 9/11, and it has never happened since. Mohr next addresses the “billions of iron microspheres” found in the dust from the collapse of the buildings. He gets a bit ahead of himself here addressing the iron-rich microspheres before addressing the finding of unreacted thermitic material in the dust, which he arrives at later. But what the reader needs to understand here is that such microspheres are a natural byproduct of the thermitic reaction (which we’ll come to). Mohr simply dismisses the microspheres by asserting that if thermite and or nano-thermite was used to attack the steel structure to bring the building down, it “would leave tons of formerly melted iron blobs, not just microspheres.” What is his basis for this statement? He doesn’t say, but just leaves it at that. In fact, melted steel was recovered from WTC 7, which Mohr comes to next and we’ll get to momentarily. The second possibility Mohr suggests is that the fires in the buildings on 9/11 created the microspheres. He quotes a report from the R.J. Lee Group, Inc., which characterized the microspheres as being part of the “signature” of the WTC dust. Unlike Mohr, R.J. Lee did not suggest they were leftovers from the construction in the 1970s, but were created on 9/11, offering the following explanation, quoting Mohr’s citation: “Considering the high temperatures reached during the destruction of the WTC … Iron-rich spheres … would be expected to be present in the Dust.” Mohr actually cites the wrong R.J. Lee report, but R.J. Lee did suggest in another report that the fires in the buildings on 9/11 were the cause of the spheres. This is a significant error in that report, however, and apparently Mohr is as unaware as the report’s authors that the melting point of iron is about 1535 °C, similar to that of structural steel at about 1538 °C, while, according to NIST’s own estimation, the maximum temperature of any of the fires in any of the WTC buildings was about 1,000 °C, and of the steel samples is studied that had been exposed to the fires, NIST found “no evidence of exposure to temperatures above 600 °C for any significant time.” Doh! “What about the sulfidized steel that melted and that FEMA found but which NIST ignored in their report?” Mohr next asks. He answers, “NIST didn’t ignore it.” Rather, “NIST determined that neither piece came from a supporting column in the collapse zone so it couldn’t have contributed to the collapse.” Mohr offers his readers a link to World Trade Center Disaster Study page of the NIST website, leaving his readers to search for this supposed information among the many thousands of pages from the many dozens of individual reports it produced that collectively make up this study. But it’s an obvious non-sequitur, whether coming from NIST or not, given the fact that beams, girders, and floor trusses in fact played a significant role in the collapses of the three buildings according to NIST’s own hypotheses for each. So all Mohr really offers is evidence of a cover up and scientific fraud (more of which we’ll also come to). Mohr also fails to explain that of the two steel samples referred to, one came from one of the Twin Towers, but the other came from WTC 7. So what did NIST have to say about the steel sample recovered from WTC 7? Why, contrary to Mohr’s false assertion, NIST simply ignored it, claiming that “no steel was recovered from WTC 7” (NCSTAR 1-3, pp. iii, xliv, 115)! Doh! 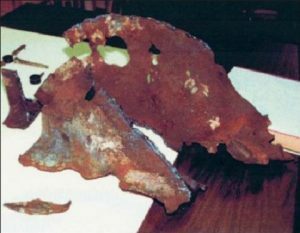 Mohr adds that “Sulfidized steel melts at temperatures 1000° lower than regular steel so it could have ‘melted’ in a regular office fire.” Mohr would apparently have his readers believe that the steel used to build WTC 7 was “sulfidized steel” with a lower melting point than “regular steel”, by which he presumably means structural steel. But this was structural steel. What Mohr is really talking about is the finding of Barnett’s team at the Worcester Polytechnic Institute, included as Appendix C of the FEMA report, that there had been “a severe high temperature corrosion attack on the steel, including oxidation and sulfidation with subsequent intergranular melting”. At temperatures approaching 1,000 °C, “which is substantially lower than would be expected for melting this steel”, a “eutectic mixture of iron, oxygen, and sulfur” was formed that “liquefied the steel”. Office fires just don’t do that to structural steel. What was this eutectic mixture that melted the steel, and where did the sulfur come from? Mohr doesn’t trouble himself to actually offer any kind of explanation. Barnett’s team noted, “No clear explanation for the source of the sulfur has been identified.” The New York Times called these findings “Perhaps the deepest mystery uncovered in the investigation”. So did the sulfur come from the gypsum wallboard that is used to provide fire resistance to the building? That question answers itself. Sulfur in gypsum is in the form of calcium sulfate (CaSO4·2H2O) and not iron sulfide (FeS), so one would have to explain how the gypsum could have reacted with other materials at high temperatures in order to free the sulfur to produce iron sulfide. To date, there remains no explanation for this “deepest mystery” that is consistent with the fire-induced collapse hypothesis. Mohr’s best effort to challenge their actual findings is to say that “They compared the sudden energy spike of their burning chips with the spikes of known nanothermites, and found that their chips ignited at around 150° C. [sic] lower than the known nanothermites, and the energy release was off between their chips and the nanothermites by a factor of at least two. 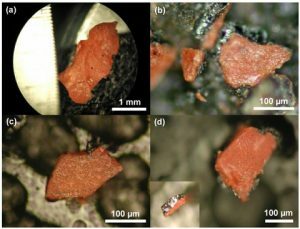 Yet they called this a match for nanothermite!” Turning to their paper, Harrit, et al, found that “the red/gray chips from different WTC samples all ignited in the range of 415-435 °C” when thermal analysis was conducted by heating the chips using a differential scanning calorimeter. They stated that “Ordinary thermite ignites at a much higher temperature (about 900 °C or above) … than super-thermite [a.k.a. nano-thermite].” Mohr doesn’t say where he gets his information for the temperature at which nanothermite ignites, but turning to the source provided by Harrit, et al, for the statement just quoted, we find that “The ignition point of the traditional thermite material is ~325 °C higher than that for the nanocomposite.” Thus, we may deduce that nano-thermite ignites at about 575 °C. This is presumably where Mohr gets his “around 150 °C” difference between the ignition point of the chips found in the dust and “known nanothermites”. They also noted that these reactions produce iron-rich microspheres like those that are part of the “signature” of the WTC dust. Mohr suggests that attempts to replicate the findings of Harrit, et al, have been “dismal”. He says Mark Basile made the same “error” of not performing the additional experiments Mohr thinks would be required to prove beyond any doubt the material is nano-thermite, and that he didn’t measure the energy released. And yet Basile was nevertheless able to replicate their principle findings that from which it could be reasonably determined that the chips were unreacted thermitic material. Mohr writes that a “chemist named Frédéric Henry-Couannier got another dust sample from the original experimenters and wrote, ‘Eventually the presence of nanothermite could not be confirmed.’” Yet Henry-Couannier also noted the “chemical composition of layers” of the red/gray chips found in the dust was “roughly confirmed” by his own study and was “Compatible with the nanothermite hypothesis”. He was not able to ignite any of his chips, however. He concluded that there were two possibilities, that either the chips “are from nanothermite that were deactivated in all my samples” or that Harrit, et al, were deceived or disinformation agents whose work is intended “to protect the secrecy of the genuine destruction technology at the origine of red chips and up to thousand tons of molten iron in the dust” (sic). Whoa. What was that? He continues: “The numerous metallic microsphers at the surface of some of these chips point toward an obvious link with a high power density process hence certainly related to the destruction technology employed to bring down the towers.” Whoa. Note that Mohr doesn’t disclose that Henry-Couannier is a conspiracy theorist who seems to think that some kind of directed energy beam weapon, some “new highly powerful weapons” developed by the U.S. Department of Defense, was used to destroy the WTC buildings. Moreover, while Henry-Couanier on one hand says he could not get the chips to ignite, and that there was “no evidence of molten iron production” when he heated them, also suggests that the “red-red chips” he studied didn’t ignite because they “are just fragments originating from red-grey chips that already reacted at the WTC and for this reason cannot react anymore”, and then seemingly contradicts himself by stating that the chips “can even burst [sic] when heated and expel iron rich particles, even microspheres which often seem to appear at their surface.” Whew! Little wonder Mohr doesn’t want to go there. We’ll come to free-fall shortly, but the fundamental point Mohr fails to address is that NIST’s fire-induced collapse hypothesis requires—bear with me here—that there be fires burning in the northeast corner of the twelfth floor in order to cause the thermal expansion of 13th floor beams, which pushed a girder off of its seat at critical Column 79, causing a series of cascading floor failures that caused Column 79 to buckle and fail due to the lack of lateral support, which led to a progressive series of column failures that resulted in a “global collapse” where the entire structure fell “as a single unit”. Got that? There are numerous problems with this hypothesis, but when it comes to the fires in WTC 7, there’s one problem in particular that stands out, which is that according to NIST’s own analysis of the available photographic and video evidence, the fire on the 12th floor had already burned through the northwest area and had moved on to the western end of the building by the time of its collapse at 5:20 p.m (NCSTAR 1-9 Vol. 1, Chapter 5). 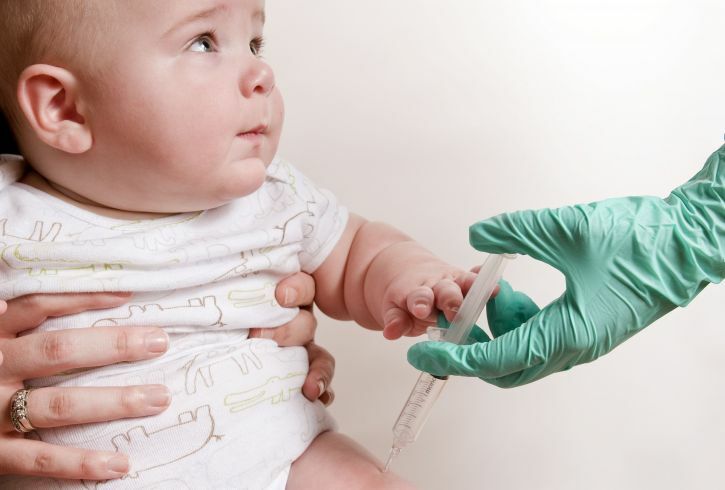 So how did NIST deal with this little problem? Simple! They ignored their own evidence and falsified the data they input into their computer model by inserting raging fires in the northeast area of the 12th floor at the time of collapse. Mohr makes no effort to address this fatal flaw in the fire-induced collapse hypothesis or the evidence off scientific fraud on the part of NIST. Finally, Mohr comes to the free-fall collapse of WTC 7. He saved the best for last, and we can have some real fun with this one. He notes that NIST acknowledged that WTC 7 “collapsed ‘at gravitational acceleration’ for eight stories over 2.25 seconds.” So how does Mohr deal with free-fall? He offers a convoluted explanation that in part relies on NIST, but which also departs from their findings. This requires a bit of background information and explanation, but briefly: Where he relies upon NIST is their finding that over the first 18 stories, the “global collapse”—that is, the collapse of the entire building “as a single unit”, which occurs after an initial collapse within the core as indicated by the east penthouse falling below the visible roofline—occurred in three stages. However, NIST’s “Stage 1”, the first 1.75 seconds of global collapse, never really happened. What NIST was measuring to create the illusion of a “Stage 1” of collapse was observed movement towards the center of the roofline on the north face of the building, from a video shot from street level and looking upward at the building. After the penthouse begins to descend, movement of the roofline is visible. However, this movement is not indicative of the onset of global collapse, but rather due to the fact that as the core collapsed under the east penthouse, the northern façade was pulled inward. The observed movement of the roofline was not indicative of downward, but of lateral displacement of the roofline. In truth, global collapse began with a sudden onset of free-fall, NIST’s “Stage 2” of collapse. 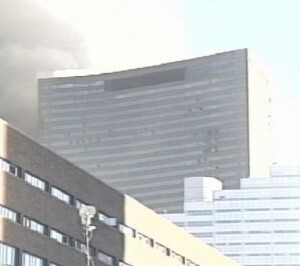 During Stage 3, WTC 7 was at near free-fall as it encountered resistance from the structure below. Translated into meaningful terms, Mohr effectively argues that as the core columns collapsed, it pulled the perimeter columns inward, so that they “snapped like a stick”, and as each perimeter column “snapped” the load it was carrying shifted to other columns. This all occurred “over about two seconds”, he says, alluding to NIST’s false claim of a 1.75 second “Stage 1” of collapse. Mohr departs from NIST when he comes to the 2.25 seconds of free-fall. He acknowledges that free-fall occurred, but says, “Free-fall collapse speed [sic] does not mean no resistance, it means no net resistance.” What he means is that in addition to the downward force of gravity and the upward force of resistance offered by the load-bearing steel columns, there was also the “variable leveraged downward forces due to connections to other parts of the building.” Got that? So what he is saying is the connections between the perimeter columns and the interior of the building provided a downward force additional to the force of gravity. Got that? So gravity plus the downward force provided by the connections between the perimeter columns and the interior. Thus, according to this argument, if the core of the building was collapsing at the acceleration of gravity, the beams connecting the core to perimeter columns would provide a downward force additional to the force of gravity, so that the perimeter columns would collapse at a rate of acceleration even greater than free-fall. That is to say that the beams were doing work as they collapsed. Of course, Mohr argues that since there was no controlled demolition, the perimeter columns did offer resistance to the collapse, but that the beams connecting the core to the perimeter columns “functioned as levers” providing a force additional to the force of gravity upon the columns, so that the net resistance was zero. If that doesn’t make any sense to you, don’t worry, that’s not an indication that Mohr’s knowledge of physics is vastly superior to yours, but that you just recognize how ridiculous this argument is. Mohr is essentially saying that the building threw itself downward with forces additional to the force of gravity. So how did the beams do this work? What force was applied to them to cause them to act as “levers”? Where did this energy come from? And a lever requires a fulcrum, so what was the fulcrum in this case? And remember that a lever works by providing force at one end so that it applies force on the other end in the opposite direction. How does a “lever” that is accelerating downward at one end apply a force at the other end so that it accelerates downward at an even greater rate? Setting aside the asinine nonsense, what does free-fall acceleration actually mean for WTC 7? Turning to Newton’s laws of motion and the law of conservation of energy, what it means is that all of the building’s potential energy was converted to kinetic energy, which means that there was no energy available to do the work of buckling columns (that is, overcoming the resistance of the columns) as required by the fire-induced collapse hypothesis. That is to say that free-fall absolutely disproves the official explanation for the collapse of WTC 7. For free-fall to occur, all of the buildings load-bearing columns had have offered zero resistance to the force of gravity, which means they had to have been cut, and there are no two ways about it. If 4500 degree nanothermites were used to pulverize almost every inch of every concrete floor, then how could there have been millions of sheets of paper with an ignition temperature of only 451° raining down on the sidewalks? This is a strawman argument. To my knowledge, nobody has suggested that nano-thermite was used “to pulverize almost every inch of every concrete floor”. To bring the building down, the steel load-bearing columns would have to be cut and gravity would do the rest. No nano-thermite or explosives would be used on the floors at all. Any use of nano-thermite would be targeted at the connections or the columns themselves. If 4500 degree nanothermites were used extensively even at the top to cause a supposed upward explosion, then why were first responders able to walk over the wreckage less than an hour after the Tower collapses? 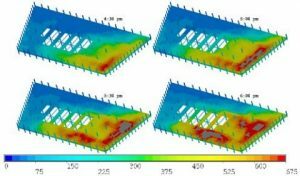 If there were 2800 degree rivers of molten steel in the debris, then why do NASA thermal images show maximum temperatures in the rubble of only 1400°? NASA’s thermal images only recorded surface temperatures, implying significantly higher temperatures under the debris. Mohr doesn’t mention it, but there are also numerous credible eyewitness reports as well as photographic evidence of molten steel in the debris piles. And, as Mohr already acknowledged, samples of steel that had been melted were in fact recovered from the debris. If the debris pile had 2800 degree temperatures, then why were firefighters able to pour millions of gallons of water all over it and not trigger the deadly thermal explosions that are caused when water comes in contact with molten steel or iron? In fact, firefighters did have to take care in their efforts because there was indeed a danger “that applying water to cool the steel could cause a steam explosion that would propel nearby objects with deadly force”, as the U.S. Department of Labor’s Occupational Safety & Health Administration noted in a report on the dangers of the Ground Zero worksite. Doh! The real question is: How, if firefighters poured millions of gallons of water, as well as the chemical fire suppressant Pyrocool, in addition to several rainfalls, did fires continue to burn within the debris piles for months? If the lateral ejection of beams were caused by explosive nanothermites, then there would have been deafening 140 db sounds that can’t be muffled by more than a few db or you lose the explosive force of the shock wave itself. This is again with reference to the Twin Towers, but still relevant, if nano-thermite was used in WTC 7. Mohr offers no source for his claim that nano-thermite would create “deafening 140 db sounds” when ignited. But the clue here is his reference to “the explosive force of the shock wave itself”. With conventional explosives used in controlled demolitions, like RDX, it is the pressure of the explosion that cuts through steel columns. With thermitic materials, however, it isn’t a high-pressure “shock wave”, but the exothermic reaction that melts through the steel. One patented device designed to employ thermitic materials for applications including demolition notes that a “primary disadvantage” of conventional demolition charges “is that they generate excessive noise and debris upon detonation”, while “Thermite-based cutting devises which employ a cutting flame produce relatively little over pressure.” While regular thermite is an incendiary, as the Department of Defense points out, nano-thermite has the potential for uses in “high-power, high-energy composite explosives”. But nano-thermite is “explosive” because of the great amount of energy it releases, not via high pressure “shock waves”, but via the even more energetic and more rapid exothermic reaction compared to regular thermite. If there had been large explosions prior to the collapse, then they would have been a part of the seismic record, and they were not. This is a non-sequitur. Mohr repeats the same fallacy, apparently assuming thermitic materials would “explode” in the sense that they would create a high-pressure “shock wave”. If conventional explosives were also used in conjunction with thermite, fewer would be required. And the fact is that there were explosions taking place that were documented on video. Many eyewitnesses reported explosions, explosions were captured on the audio of a number of videos, news reporters talked about explosions taking place well after the collapse of the Twin Towers, and there was speculation by some reporters live on air that these were cars exploding after having caught fire as a result of the collapses. It may be that there was some other such source of the explosions, but one can hardly deny that they took place. Two distinct explosions can be heard in the audio track of one video of WTC 7 immediately prior to the observable collapse of the east penthouse. A large part of the Delft Building did collapse, even if it wasn’t global or even 50% of the buiulding. You can see that in the photos Jeremy provides. As I said, the collapse was fast, mostly straight down, and the strong steel-concrete supports were not strong enough to stop a gravity-powered collapse from fire aloone. In my YouTube series part 3, history of fire collapses, http://www.youtube.com/watch?v=dsjfSG69Pik, there are many other examples of other steel structures collapsing due to fire. The iron microsphere issue is covered in my YouTube rebuttal series part 9 http://www.youtube.com/watch?v=ev48qEO9SyU. 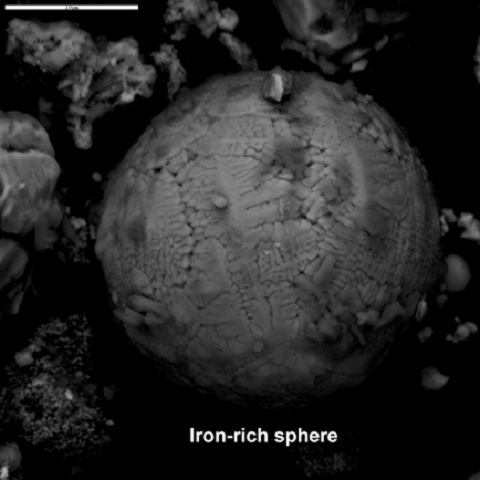 RJ Lee’s study was very large in scope, and they found the iron-rich microspheres and weren’t surprised to find them. Why not? And why didn’t this dust study turn up thernitic materials? “Mohr would apparently have his readers believe that the steel used to build WTC 7 was “sulfidized steel” with a lower melting point than “regular steel”, by which he presumably means structural steel. But this was structural steel.” No,. I am only saying that these two small small samples, bheing a eutectic mixture of steel and sulfur, could have melted at 1740 degrees, 1000 degrees F. lower than structural steel’s melting point. Jeremy is right that I did not adequately reference my assertion that NIST certainly did not “obfuscate” or “ignore” the sulfidized steel issue. Here’s better footnoting: They mentioned it expressly in NCSTAR1-3C, NIST mentions both samples. Sample 2 had clearly no bearing on the collapse (was located no higher than the 53rd floor) and was in the prone position during the corrosive attack. You’ll see in my video that in a personal email Barnett gives several possible causes of the sulfidized steel but does NOT suggest thermate and does NOT support the controlled demoltion theory. You can get more details of my free-fall collapse of Building 7 explanation at part 18 Building 7 freefall collapse http://www.youtube.com/watch?v=2MER5PhIDt0. Jeremy is right, it is a departure from NIST, whose scientists told me personally that once the collapse initiates, “gravity takes care of it.” I researched a more detailed explanation with the help of several physicists, engineers and fire safety experts. It’s the first time it’s been explained at a layman’s level. It is complex, but I assure you it is not convoluted, Jeremy’s misrepresentations and mockeries notwithstanding. 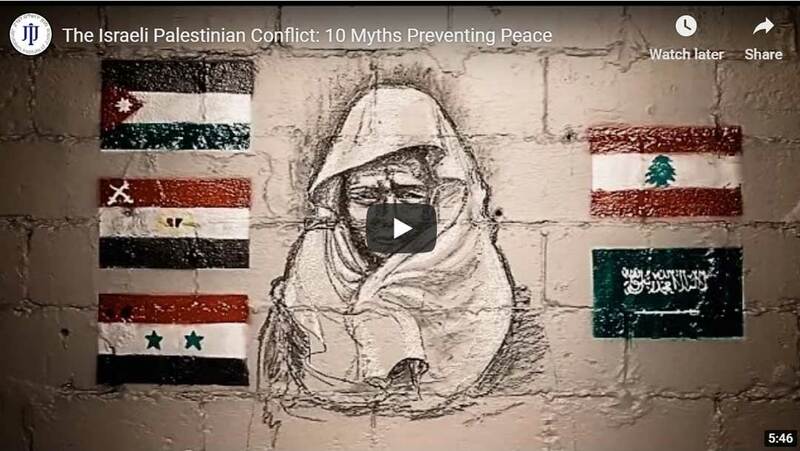 And BTW David Chandler’s video is now out of date, and the link to part 18 above is the revised one; his link has been removed as I made important corrections after watching his video. His name no longer appears in the revised version either. As for Jeremy’s responses to my if…then rebuttals, most of them are dealt with in much more detail in my YouTube rebuttals (keyword chrismohr911). I completely disagree with the controlled demolition theory and support open debate on the subject. Suggesting half the building collapsed is extremely generous. The point is that it was disingenuous not to disclose this fact to your readers. You imply by omission of this fact that it was, like, WTC 7, a complete collapse of a tall steel-framed building. Your YouTube video also contains the same FALSE claim that the Delft University building was a steel-framed building. It was not. It was a reinforced concrete building. I don’t know if you were being deliberately dishonest about that in your video and article, or if you just didn’t know the difference, but a correction on these points is in order on your article at Skeptic. If you have any examples of a tall building–not reinforced concrete, not “steel structures”, not amphitheaters designed to have large open areas with few or no columns, etc., but a steel-framed high rise building–collapsing symmetrically and completely into its own footprint, please produce them. The fact remains, as Richard Gage said, “no tall steel frame building has ever collapsed due to fire”. It had not ever happened before, and it has never happened since. I look forward to seeing your factual error and error of omission corrected at Skeptic. I already addressed both the the implication of your first question and your second question here in the article, and you are simply repeating the same errors, ignoring the fact that RJ Lee’s explanation that they were the result of fires in the buildings cannot be true, because it requires 1500+ C fires to melt iron/steel, and the fires didn’t get anywhere near that hot, and ignoring the fact that RJ Lee didn’t test to see whether any of the materials they found were thermitic. Like NIST, you can’t find what you don’t look for. Your video repeats the FALSE assertion that office fires could produce the temperatures required to melt iron/steel and produce the microspheres. It behooves you to inform your readers at Skeptic that office fires cannot produce the temperatures required to melt iron/steel and produce the microspheres found in the dust. This is effectively a circular argument. You can’t argue that the steel melted because it was eutectic and then argue that it was eutectic because it melted at a lower temperature. You have to explain how the liquid eutectic mixture that attacked the structural steel was created in the first place, which you haven’t done. You repeat in the video, “Sulfidized Steel Melts at Much Lower Temperatures”, which, again seems to be based on your misunderstanding that this was some special kind of steel or something. This is structural steel with a melting point of more than 1500 C, and it was melted at a lower temperature (~1000 C) because the sulfur in the eutectic mixture effectively lowered its melting point. How could this liquid eutectic mixture that melted through the steel by lowering its melting point have been created in the first place? Where did the sulfur come from? You don’t even attempt to answer these questions in your article or reply comment, and you acknowledge in your video that you have no answers. Nobody does. At least not one that fits in with the fire-induced collapse hypothesis. As I pointed out, Jonathan Cole, PE, reproduced some of the visible characteristics of the WTC 7 sample, including the “swiss cheese” appearance, by using thermate. You argue in the video that the sulfur came from gypsum. But I addressed that fallacy in the above article. Your comment here doesn’t address the fact that gypsum is used for FIRE-PROTECTION, and you haven’t offered any explanation for how the sulfur was freed from its form of calcium sulfate. Members of Barnett’s WPI team did further tests in which they applied iron sulfide to the steel. They did not apply GYPSUM to the steel! Jonathan Cole also tested to see whether gypsum could cause sulfidation and intergranular melting of the steel, and, unlike his experiment with thermate, he could not reproduce the effects on the steel. Further study is obviously required, but the use of thermate at this stage is clearly the leading, most scientific hypothesis. Also, you state in your paper that NIST did not ignore, but addressed the steel samples Barnett’s team studied. Yet Richard Gage was correct to point out that in the case of the sample from WTC 7, NIST did indeed ignore it, claiming falsely that it did not exist. You similarly say in the video, and repeat in your comment, that NIST DID consider BOTH steel samples, but that is FALSE. NCSTAR1-3 C states explicitly, “WTC 7 steel was not evaluated in this study of the tower damage and failure modes.” NIST examined only the sample from one of the Twin Towers, and Richard Gage is exactly correct to say they deal with the sample from WTC 7 by IGNORING it. You can’t ignore something much more than to deny its existence. NIST’s explanation for its failure to examine any physical evidence is patently illogical and totally insufficient. The WTC complex was the scene of a search and rescue operation, but that should not have precluded the debris from WTC 7 from being hauled away and stored separately in the first place, as criminal investigative procedures for the preservation of evidence would have necessitated (had they been followed). Even assuming the debris from WTC 7 was simply tossed together with the rest of the debris from the other buildings, naturally, if the steel from WTC 1 and 2 contained identifying characteristics, then it could be reasonably concluded that any steel without such characteristics would most likely have come from WTC 7. Those steel members could then have been compared to the design drawings for WTC 7 and their known dimensions—which ipso facto are identifying characteristics—in order to make a final determination as to their origin. I look forward to seeing your error with reference to NCSTAR 1-3 C and NIST’s having ignored the WTC 7 sample corrected at Skeptic. The claim that in addition to the force of gravity, the building itself was doing the extra work of throwing itself to the ground, providing the additional energy required to overcome resistance and thus achieve free fall, makes a mockery of itself and hardly needs any help from me. If I misrepresented your argument, you are free to correct me and explain. I would simply observe the fact that you make no attempt to do so in your comment. Turning to your video, you suggest only part of the building collapsed at free fall, and imply it was only the north face that did so, which is false, and observably so. As NIST explains, from the onset of global collapse, the building fell “as a single unit”, which you can see in the videos, and achieved gravitational acceleration for 2.25 seconds, 8 stories, 105 ft., which you can measure as David Chandler, NIST, and others have done. You rely upon NIST’s false claim of a “Stage 1” of collapse (see article above, and the link). You falsely claim NIST used a video “looking straight at the north perimeter wall” and show a different video than the one NIST used, thus misleading your viewers to think this was the same video. In fact, the next video you show, from street level to the northwest, is the one NIST used. This false assertion is relevant to NIST’s fraud regarding “Stage 1”, which your argument depends upon. You state in the video, “this was an asymmetrical interior collapse followed by an [symmetrical] exterior collapse”, then, after having just so described a classic implosion, state that it did not resemble a controlled demolition! What can explain this cognitive dissonance? You point to the fact that it tilted southward as it met resistance in order to argue that it was not symmetrical and thus didn’t resemble a controlled demolition, but, 1) the collapse was symmetrical from the onset and through the period of free-fall, and 2) surely you must know that CD experts can and do intentionally cause buildings to tilt in the same way, in order to prevent damage to neighboring buildings. This is gibberish. Where to begin? There can be no “pivot”, for starters, when any pivot point itself was collapsing at free-fall as the building fell “as a single unit”. And that’s that, nothing more need be said about this nonsense. Except perhaps to add that David Chandler in the video he links above does a good job of identifying your ignorance on the subject matter, which led you to conclude by looking at data points above the linear regression mean the collapse was GREATER than free-fall acceleration at certain stages. I’m a layman like you, but I did my homework and researched this subject for years before ever writing about it. I respectfully suggest that you take more time to study and be able to get your facts straight before you put pen to paper, because if you are truly interested in the truth, you do yourself and your readers a disservice by spreading your misinformation and falsehoods. Windsor Tower Madrid (partial collapse): Reinforced concrete was used in the core and under the 17th floor. The Parque Central in Caracas, Venezuela: reinforced concrete structure consisted of perimeter columns connected by post-tensioned concrete macroslabs” Severe deflection in steel beams, concrete held up. And most ironic of all: the recent 2009 Beijing Mandarin Oriental Hotel Fire. Construction was only began after its builder, ARUP East Asia, had conducted a thorough internal study of the WTC collapses. Instead of the steel-only structural framework of Building 7, ARUP used a combination of concrete and steel framing for the TVCC building. Those incredible shots of the Mandarin Oriental on fire were taken during the first hour of the fire. The firefighters were able to gain control of the blaze in about an hour, fully extinguishing the fire six hours after it began. By contrast, the fires in Building 7 were never fought, because FDNY had no water to reach the building. For that matter, in the Windsor Tower, the reinforced concrete sections all survived, whereas the solely steel-framed sections all collapsed. Note too that to my knowledge, unlike with Building 7, fire crews aggressively fought all these fires. No jet crashed into any of these buildings, spilling jet fuel inside, stripping off the spray on insulation, and causing structural damage, as happened at WTC I and II. So I can be forgiven if I called Deflt a steel building, even if it was concrete reinforced with steel just like many of Gage’s examples. The initial Meachum study said “The fire and subsequent collapse of a substantial portion of the Faculty of Architectural Building at the Delft University of Technology is significant in that fire-related collapse of structures is rare, with collapse of reinforced concrete structures even more so.” I interpret this to mean that reinforced concrete is even more fire-resistant than steel-framed structures with only spray-on fireproofing. So my example is of a building that is even tougher in its construction than the WTC buildings. And the “substantial portion” that collapsed still fell mostly straight down, pretty much all at once, very fast. Jeremy tried to rebut my claim that a big part of the building collapsed (I never called it a global collapse, but is there a difference between “a substantial portion” and “a big part”?) What I said: the part that collapsed behaved in a manner similar to the collapse of Building 7. So here’s the deal: I’ll remove the Delft comparison if you, Richard Gage and everyone else in the 9/11 Truth movement limits your descriptions of fiery buildings that didn’t collapse to steel frame buildings at least 40 stories high which take up a whole city block, employ a “Tube in a tube” design, came off its core columns near the bottom where the collapse initiated, was struck by another burning building, weakened by unfought fires for over 6 hours, and had trusses that were attached with two 5/8″ bolts. Of course that is absurd. My point? Comparisons HAVE to be made between buildings with some differences in them when the sample size is so small. And I submit that my comparison stands up fairly well and your comparisons, well, many of them collapse on closer scrutiny. Chris, if you knew the difference, at the time your wrote the article, between a steel-framed building and a reinforced concrete building, then you were not guilty of mere ignorance, but of being willfully dishonest with your readers. I look forward to you correcting your factual errors and misinformation at Skeptic, including, but not limited to, this one. 1) I have a good layman’s understanding of the issues I am talking about, and I run the things I say by scientists and engineers. 3) I sometimes make mistakes. In the case of the Delft collapse, yes I knew it was steel-reinforced concrete, but having seen on 9/11 Truth videos several examples of steel-reinforced concrete buildings or cores not collapsing in fires, I thought such buildings were acceptable to use as examples, and my mistakenly calling Delft a steel building or even a steel-framed building did not change the fact that all buildings, regardless of materials, can collapse in a fire. In preparing for my March 6 debate with Richard Gage, I asked him what he thought were the most compelling reasons to believe in controlled demolition. I warned him that I would look at his best evidence, and it could even change my mind, in which case I would have to call off the debate. We directly debated his strongest arguments. Neither Richard nor I ever once accused the other of being ignorant or a liar or insane. You and some others in the 9/11 Truth movement have chosen to attack me by saying I am either incredibly ignorant or a liar. 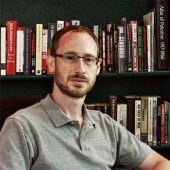 As you praise David Chandler’s notorious “pearls before swine” video attack on me, you too grossly magnify my errors and look for evidence that I am willfully dishonest, assuming ill intent, and thereby encouraging the people who admire your work to dismiss out of hand what I am saying. I notice that the more people attack me personally, the less they tend to look at what I am actually saying. The people who are qualified to say I am ignorant and unable to understand the issues I am debating are the scientists and engineers who accept the “natural collapse” theory and who know way more than either of us. They universally support my efforts to debate this issue from a layman/journalist’s perspective and say I am interpreting their explanations well (and that I make mistakes sometimes). I wish you well in your quest for the truth, and I may yet change my mind if new evidence (such as independent proof of thermitics in the dust) presents itself to me. But now it is time we part ways. While I always welcome corrections even from 9/11 Truth people, I am not willing to allow the debate to descend to me defending against charges of utter ignorance and willful dishonesty. In the meantime know I share with you a desire for a world guided by peace, justice and truth. Chris, you will observe that I had originally assumed you had merely made a mistake because you just didn’t know the difference between a steel-framed and reinforced concrete building. But then you replied to insist that you did indeed know the difference. Ergo, when you said the Delft building was a steel-framed building, then you knew that what you were saying was false. You cannot claim on one hand that you know the difference and on the other hand say your claiming the building was steel-framed was some kind of honest “mistake”. Was it a typo? Did you mean to type “reinforced concrete”, but it just came out “steel-framed”? Either you were ignorant at the time you wrote it of the difference or you were being willfully dishonest. You can’t have it both ways, claiming both that you are not ignorant and that you are not dishonest. If you were honest, then you were ignorant, and if you were not ignorant, therefore you were dishonest. This is not an accusation, it is a logical truth.